Amsterdam-Schiphol, Dec. 29, 2015 — MachSol Inc. ( www.machsol.com ) has announced that it will be relocating its European Headquarters in response to its year-to-year expanding business in the past years. The new and larger space office location allows the MachSol European Headquarter to expand further in the future and is better utilized to welcome customers out of the Europe, Middle East and Africa area. The new location is at Schiphol International Airport and just across the road of Microsoft Netherlands head-office. Microsoft just recently announced release of Dynamics CRM 2015 with a plenty of new features and enhancements compared with earlier versions of Microsoft CRM. 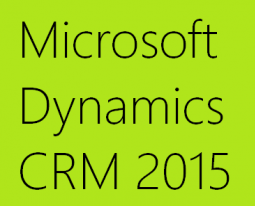 In the following, we have summed up top 5 features from a huge list of the CRM 2015 feature list. The new email editor in CRM 2015 is really a blessing for marketing individuals because it lets you create emails with drag and drop controls alongside having advanced editor for HTML/CSS manipulation. MachSol is committed in making it easier for small business hosting and cloud service providers to obtain MachPanel. The most reliable, scalable and globally recognized cloud automation solution, specifically designed to manage private, public and hybrid clouds, says Max Roosenbrand, chief executive officer at MachSol Inc.
Today’s market is very competitive and MachSol understands pricing is very important. Lower cost and pay-as-you-grow pricing model will enable more hosting and cloud service providers to implement MachPanel, delivering fully automated self-service control panels for provider, (commission based) resellers and its customers, says Simon Walker, manager of business development at MachSol Inc.
MachSol® (http://www.machsol.com) a Microsoft Exchange Validated solution Vendor is to maintain the tradition of supporting latest Microsoft products and technologies as MachSol proudly announces to roll out MachPanel support for Microsoft Exchange 2013, Lync 2013 and SharePoint 2013. Be Ahead with Exchange 2013 – Lync 2013 – SharePoint 2013! MachSol has been a trend setter in HSP industry by MachPanel – a cutting-edge control panel that gives you the ability to gain competitive edge over your competitors by means of providing support of latest Microsoft products. To keep up the tradition, MachSol is ready to launch new release of MachPanel that supports Microsoft Exchange 2013, SharePoint 2013 and Lync 2013 at the same time. Alongside this flagship product, MachSol provides comprehensive turnkey solution and services for various Microsoft technologies and helps you to stay updated with latest industry standards. We can quickly scan your requirements and come up with specific solution tailored to your business needs that may involve infrastructure design, maintenance, updates and migration, provisioning and automation, billing and customer support etc. – all under one umbrella. MachSol Inc. is an emerging leader in unified automation software that solves business and operational challenges in delivering scalable hosted software (SaaS) in cloud. MachSol paves way to the next generation of hosting, uniting the common aspects of management and control into single complete solution supported by experience and Microsoft certified engineers. While we feel delighted to assist all our customers, we have made it compulsory that all issues are first initiated via the support portal in the form of a Case / Trouble Ticket and then formal Email, Phone or Live Chat communication is done. In all communications the Title and Case ID generated should be mentioned as a reference.